To get the President's stated above-the-fold goal of 355 ships, 11% of his proposed increase in the defense budget would need to go to shipbuilding. Or, if you extrapolate that out, roughly 1% of the total defense budget. Remember, the President is a real estate developer. 1% of total cost is not even a minor upgrade. More than any other aspect of his military proposals, a lot of personal capital has already been invested in an increase in the Navy's number of ships. Those that want to push back are going to have a very hard slog. People like making excuses for themselves and others. We all have short comings and are human - those with character and maturity know this and accept their problems and move on. "No excuse, sir." Cliche, perhaps - but it speaks a lot to the person you say it to, as they know very well that things happen - they have been there too. 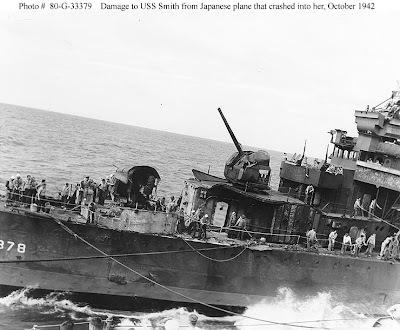 Seaman 1st Class Eccles in 1941 was a machinist's mate on the USS Smith, a 1,480-ton Mahan class destroyer. He was on the Smith throughout the war. "I was seasick for the first two times I went out," Eccles said. "And that was no excuse. If you had a shift, you'd better be there, no excuses. If you were puking, you'd better bring a bucket. On a destroyer, if you weren't attacking someone, you were defending yourself. And if you weren't doing one of those, you were on watch. We were so busy we didn't have time to make excuses." Thank you Mr. Eccles. Fullbore. LCS, once again makes our Navy look foolish. Come by and give it a read. Back in November of last year, Lt. Gen. McMaster, USA spoke at VMI. In the Q&A portion, he answered a question that always gets my attention, "What do you recommend that we read." If you want to get your head around what the man who will be our next National Security Advisor thinks is important, and I know you do, then you might want to consider the following. Click the pics/links for more. - Army Capabilities Integration Center's Professional Reading Section, updated weekly. - Ft. Benning Maneuver Self-Study Program. - Australian Army Reading List, "The Cove." - Margaret MacMillin, "The Rhyme of History." Take the time and watch the full video below. Regulars to the Front Porch have been reading about H.R. McMaster here for 11 years. As such, I don't need to say much more than this: we have Mattis and McMaster inside the tent. If that isn't enough for you, nothing will be. His book is essential reading. If like me, you have it in your library, dust it off. If not, follow the link below and get the book and read what he is bringing to the table. Have a great Navy day. 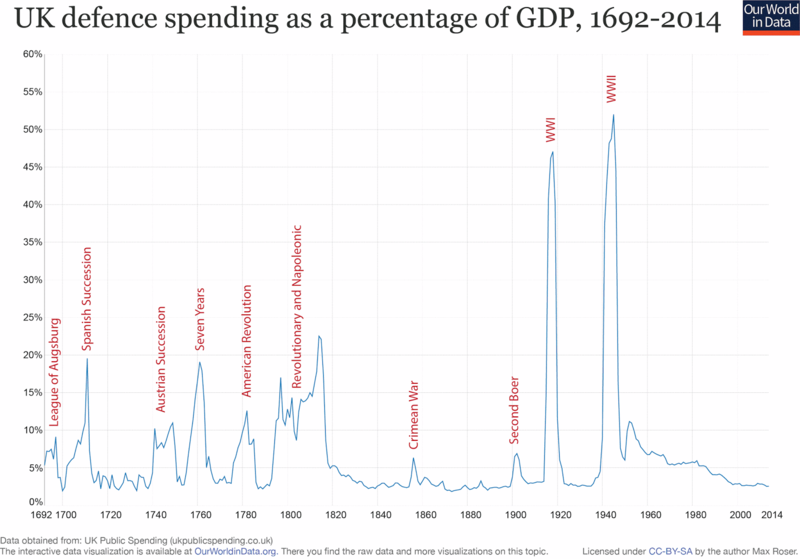 I do my best to give the benefit of the doubt to my friends in academia who are thrashing about in search of why the nation is in the mood it is in right now. Poor things live in academia for goodness sake; the human intellectual terrarium. The outside world is a frightfully dangerous "other." They just don't know any better. It is what it is. Those inside the Beltway who are still foam-flecked and thrashing around as to why everyone in the lumpenproletariat seem to be taking crazy pills? Not as much sympathy. In many ways, we are not a normal nation (i.e. ethnic Danes mostly live in Denmark, etc). We are a republic of ideas. As such, even our capital is a bit different. Unlike London which is a financial hub of global importance, Washington DC has but one business; government. Like Brazil's capital, Washington DC is a purpose built entity whose very existence is simply as a place for our central government to call home. It serves then to be an indicator of who is serving whom. Does our government serve the people to help them grow and prosper, or do the people exist to serve to government and to make sure it grows and prospers? Government at its most raw is an organization that uses the police power of the State to force wealth out of the citizens to put to the public good - "good" as the government and the people's representatives so define it. It doesn't produce much but other people's money, access to power, and the ability to manipulate both both products in directions that may or may not be in the pursuit of the greater good - humans being human and all that. Those who live and work within a commute of DC have a few things in common with each other that are distancing themselves and their worldview from the citizens in the provinces. First, is where their paycheck comes from. Always start with the money. If not directly, that are at best one to two degrees of separation away from having their livelihood directly connected to the Federal pocketbook. That bias towards a strong Federal government derives from the brain-stem need to supply food and housing to the family, and as a result, skews the mind for most. Any threat to a big government is a threat to their family and tribe. Second, as a result of #1, they are soaking in a left-of-center ether well out of tune from the rest of the nation. Sure, there are plenty of right-of-center people and ideas in the environment, but as love of government is largely a left-of-center mindset, just not as many compared to the rest of the nation. The USA may be a 50/50 nation, but the Beltway is more of a 70/30 nation. As such, those of the left get lots of affirmation from peers, and those of the right are constantly second guessing themselves while trying to make friends with the bullies and Heathers that they have in their neighborhood and have to find a way to live with. Third, they get caught up in the same information flow their neighbors are in; WaPo, NYT, and the Big-3 networks. Even in 2017, with a few exceptions, they derive their perspective about what is right, wrong, or indifferent from the same sources their grandparents did. That isn't how the rest of the country works anymore. That outlines their problem in broad strokes. Then there is how the rest of the nation sees them. At the front is the economic isolation those in the Beltway experience. They did not suffer during the Great Recession. As a matter of fact, they prospered. Here we find ourselves with four of the five most rich counties in our republic cocooned around the Washington DC. It is how things are. It is not good for the American people or its government – and it is a condition that is not good for the long term sustainability of our republic. We have a legion of rent-seeking people focused on two things; access and power. Access matters so much because in a large nation such as ours, as the Federal government grows in its size and degree of control, it becomes more like the late middle-ages imperial monarchies. Access to the levers of power in the Imperial City gives those who are “at court” access to the largess of the state. There is a dysfunction in a republic of ideas, of individual liberty, of a self-governed mercantile republic where the bureaucratic machine becomes the center of wealth. Let’s take a little quote from G.J. Meyer’s book, “The Tudors,” and tell me this doesn’t sound a bit familiar? Access mattered so much because the whole political system was powered by royal largess. It was the king (along with those to whom he listened) who bestowed the highest offices, the gifts of land, financial favors ranging from annuities and monopolies to exemption from the payment of tariffs, wardships like the one that had brought Plantagenet blood into the Tudor family, and pardons for virtually any kind of offense. Such gifts were the means by which the king built a following and rewarded faithful service. To be eligible for them one had to be known to the king or his most trusted friends, and there was little chance of becoming known except at court. Admission to court as most broadly defined – to the crowds that gathered wherever the king was resident – was not difficult. It required little more than a reasonably respectable appearance (meaning the attire appropriate to a gentleman), a plausible claim to have business with the Crown (anything from wares for sale to a dispute in need of resolution), and a sufficient supply of ready cash (bribery being routine). Merely being at court, therefore, was of limited value. Men spent years, even decades, hanging around the court and angling for preferment, only to see little of the king and come away empty-handed in the end. The trick was to get lifted out of the herd; this could be accomplished through good connections, and ability to charm or to make oneself useful, simply good luck, or some combination of these things. The goal was to become one of the lucky few likely to come to the royal mind when lucrative offices needed to be filled or patronage was available to be disbursed. Getting there could take years. Our guest for the full hour this Sunday from 5-6pm Eastern for a discussion of an understudied part of our naval history and what it could mean for the current administration is returning guest Claude Berube. Claude is the Director of the Naval Academy Museum and has taught in both the Political Science and History Departments at the Naval Academy. He has worked in the U.S. Senate, as a maritime studies fellow at the Heritage Foundation, as the head of a terrorism analysis team for the Office of Naval Intelligence and as a defense contractor. An intelligence officer in the Navy Reserve, he deployed with Expeditionary Strike Group Five in 2004-05. 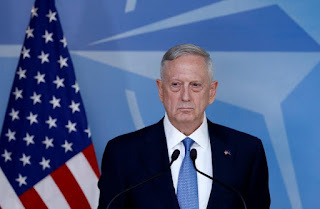 His articles have been published in Orbis, Vietnam Magazine, Naval History, The Washington Times, Jane’s Intelligence Review, Naval Institute Proceedings and others. He’s also written or co-authored five books. He’s completing his doctoral dissertation through the University of Leeds. Words mean things. A ships name can, and should, mean something too. Repeat names for ships usually carry with them the history of the ships with that name that went before. Ship's names are rarely given by accident. Izumo was the lead ship of her class of armored cruisers ... During the Russo-Japanese War, she was the flagship of Japanese 2nd Fleet's Admiral Hikonojo Kamimura; in that war, she participated in the Battle off Ulsan on 14 Aug 1904 and the Battle of Tsushima on 26 May 1905. ... When Japan invaded China in 1937, thus starting WW2 in Asia, she was the flagship of the Japanese 3rd Fleet. 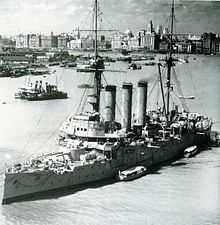 During the Second Battle of Shanghai, she was attacked unsuccessfully by Chinese torpedo boats. On 14 Aug 1937, she was attacked by a group of Chinese Air Force aircraft led by Captain Claire Chennault. 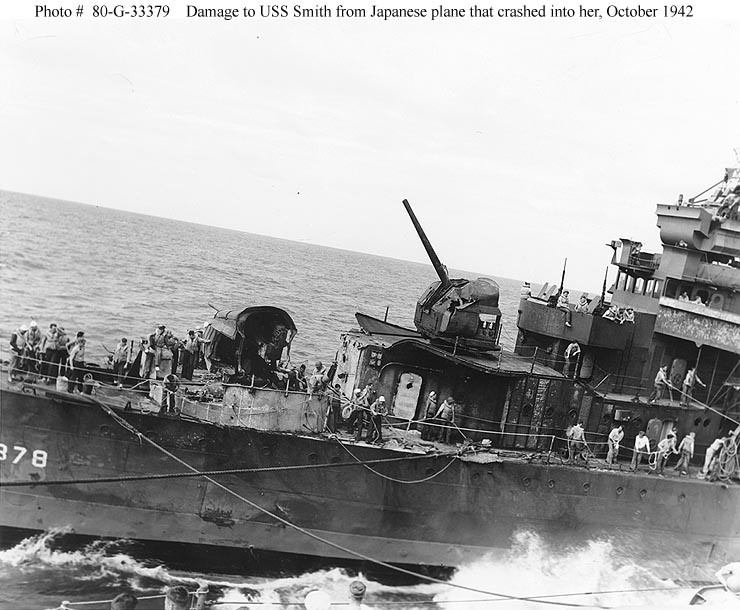 At 0400 on 8 Dec 1941, moment after the Pacific War began, Izumo forced the surrender of American gunboat USS Wake and sank the British gunboat HMS Peterel. 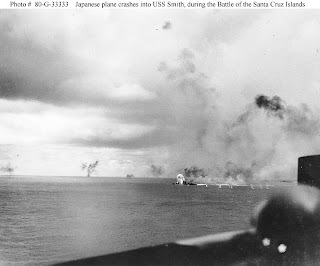 ... She was sunk at dock at Kure, Japan in an American air attack in 1945, near the end of the war. Her wreck was raised in 1947 for scrapping. the JS Izumo (DDH-183), commissioned on March 25th, 2015. Officially classified as a $1.2 billion “helicopter destroyer”, this warship is the largest constructed by Japan since the Second World War, and at first glance bears a striking resemblance to a light aircraft carrier. With an impressive length of 248 meters and a beam of 38 meters, the vessel is larger than short take-off and vertical landing (STOVL) carriers operating in the Spanish and Italian navies. 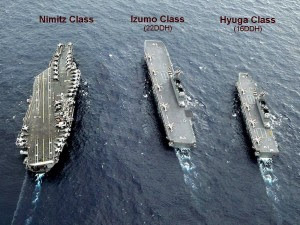 Likewise, its fully-loaded displacement of 24,000 tonnes and 7.3 meter draft put the Izumo class in a category similar to that of the Invincible class carriers commissioned by the Royal Navy. Altogether, the scale of these vessels represents a major advance in Japan’s maritime defense capabilities, significantly increasing the country’s ability to project force. Furthermore, the Izumo class boasts the exceptional capability of supporting amphibious assault operations as the ships have the capacity to embark up to 400 marines and approximately 50 light vehicles. Read in to it what you wish. She has quite the name to live up to - and in a few decades hopefully has a more graceful fate. BRAC is back, and at the worst possible time. The vice chiefs of the Army and Air Force on Tuesday threw their support behind another round of base closures as a way to save substantial amounts of money that can be put to use for the military’s other needs. 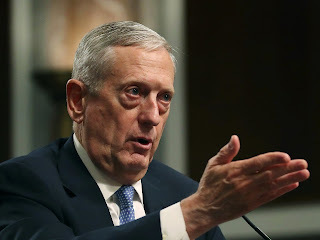 "It's real money that we really need to reinvest into deferred maintenance and infrastructure backlog," Gen. Daniel Allyn, the Army's vice chief of staff, told the House Armed Services Committee on Tuesday. Wilson and Allyn were testifying alongside their Marines and Navy counterparts on the state of the military. They painted a bleak picture, lamenting that budget cuts have slashed the readiness of the force to fight in a war against a high-end adversary such as Russia. But the closure process, known as Base Realignment and Closure (BRAC), has been a politically unpopular solution to the issue. Lawmakers in both parties oppose BRAC because of the potential for negative economic impact on the communities around bases. The last round of BRAC was in 2005, and under current law, another round is banned. I feel dirty just reading that. If anyone uses the terms, "wisely" and "smart investments," they are simply insulting the listener by implying that, if you don't agree, then you are "dull" and "stupid." Well General Wilson - pack sand. There are a lot of reasons not to support a new series of base closures, but the top one should be that in 2017 we are looking at growing our military, not shrinking it. There is a certain logic to doing a BRAC for those who live and breathe inside the Beltway and see things only through the refracted light of the green eye-shade, and that is the problem. They drive the discussion. There is a lot more to military base utility than a simple spreadsheet snapshot in a time of peace, you have to look at why you have a military to begin with; to fight and win your nation's wars. Let me give you a few bulleted items to consider as to why we should firmly say no to a new BRAC. 1. Quality of life/work: In the course of my couple decades of military service, I had the pleasure of being stationed at small, medium and large bases on both coasts. The ability to get to work, home from work, and to get actual work done at small bases was always much better than the large, impersonal, industrial sized bases. Living out in the economy (I never lived in and do not support base housing) was easier, and the military has a lighter impact on the host community. 2. Risk mitigation: Just put on your "red hat" for a few minutes, study your history, and then tell me again why it is best to have all your military forces packed in to a few static locations. If I need to say more, then you really aren't paying attention. 3. National presence: The cynic thinks we should have military bases scattered around in order to increase support for the military in Congress. As anyone from the former Representative Dellums (D-CA) district would tell you, that theory only works on the margins. I am more interested in a higher purpose - the people and their representatives need to know people in their neighborhood who fight their nation's wars. Nothing bridges the military-civilian divide as being neighbors. As an unalloyed Southerner, I am quite happy that so much of the officer corp is Southern and Western - but I don't think it is good for the nation as a whole to make that skew worse by packing military bases in the South and West. The paucity of military bases remaining in New England, for instance. Tell me that is good for DOD or the people of New England or the nation. 4. Redundancy: Saturate the Virginia Tidewater area or San Diego with a large "dirty bomb" - or give the bad guys a "Weekend Boat Club" number of remote control boats. See #2. No need to say more. 5. Surge capability: Hey, stuff happens. We need to grow from 350 to 500 ships, and the Army, USAF and USMC need to grow 50% in the next three years? In a nation of 320 million and growing - where are you going to find the next Ft. Hood or Norfolk when they are already at maximum capacity? 6. When you lose it, you don't get it back: If you squint your eyes a bit and grab a few bags of cash to buy people out - you can almost see on the East Coast being able to re-militarize North Charleston and Cecil Field. Almost. Many of the other areas, not so sure. The last BRAC didn't just cut away a few extra bits of fat, it took out huge chunks of meat and bone. 7. Politics, developers and petty corruptions: Don't discount that many people want the land military bases are on. In an increasingly crowded nation, especially along the coasts, the military has some prime land. People want it for their own purposes. As in many things in politics; follow the money. Back to the beginning. Let's just look at our Navy. If we are going to grow to 350, where are we going to put them if we close down what few naval bases we have left? One could argue that we should be looking again at what we may need to claw back from the last BRAC. I still get cold sweats every Christmas when I look at "Murderer's Row" in Norfolk. Our fleet needs to be more dispersed not less. Say no to BRAC and let's invest our political capital instead on growing the Fleet of the future, and improving the one we have now. For the first time in eight years, we are watching a new team take over the national security infrastructure. Now is a good time to review, "Who is who in the zoo" and what exactly they do. Our guest for the full hour this Sunday from 5-6pm Eastern to help us navigate the swamp the "blob" lives in will be Loren DeJonge Schulman. 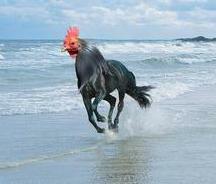 He is a man who, at first glance by any person, is defined by his shear physicality. It isn't just a look either, he was co-captain for the West Point football team and all that goes with that path. ...returning from a memorial service in Baghdad for two Soldiers from his brigade on May 7, 2007, when his vehicle was hit by an improvised explosive device. He lost both legs above the knee and suffered a severe injury to his right arm. That began a journey that represents the best of what a leader is. He continued to serve on active duty until 2014. 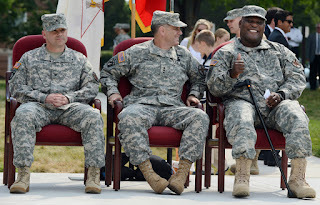 Colonel Greg Gadson; great man with great friends and a great family (and a little bit of a movie star along the way). Follow the links above for more details, but NFL Films does a good job. I'll leave it up to them - watch it. Head on over to USNIBlog to see what I'm talking about. I'll try to keep the commentary to a minimum today, as I think these videos tell the story quite well. A story in three videos, as it were. First, everyone should be up to speed on the first video; the one the Yemeni forces took of their attack on the RSS Al-Madinah in the Bab Al-Mandab Strait. Next is a video of the attack taken from the ship. Now, don't be like Sal and be distracted by the gear adrift (unmanned lawn chair on the flight deck), but look at the attack. This was a clear, bright day. These waters have seen attacks over and over. 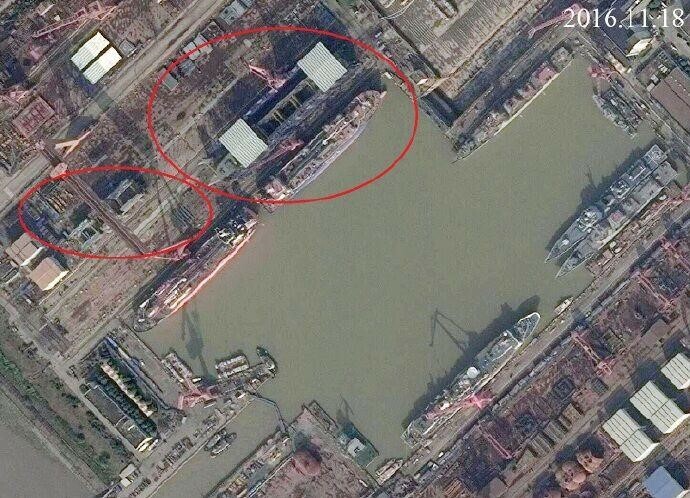 This is a littoral zone at war. These waters are thick with small boats. Small boat attacks, solo or swarm, are decades old. Think about a few things: watchstanding; number and diversity of weapons; etc. What are the top lessons you bring from it? This next video was of the Al-Madinah's return to port. From the band at the opening to the formation discipline at the end, what are the details that you see and how does that inform your opinion on why this ship was successfully attacked - if at all? 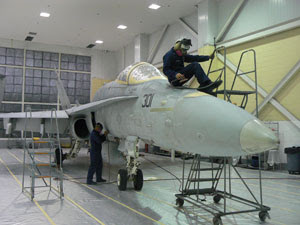 ...nearly two-thirds of the fleet’s strike fighters can’t fly – grounded because they’re either undergoing maintenance or simply waiting for parts or their turn the aviation depot backlog. Overhauls – “availabilities” in Navy parlance – are being cancelled or deferred, and when ships do come in they need longer to refit. Every carrier overall for at least three years has run long, and some submarines are out of service for prolonged periods, as much as four years or more. One submarine, the Boise, has lost its diving certification and can’t operate pending shipyard work, and leaders claim that if more money doesn’t become available five more will be in the same state by the end of this year. The Navy can’t get money to move around service members and their families to change assignments, and about $440 million is needed to pay sailors. And the service claims 15 percent of its shore facilities are in failed condition – awaiting repair, replacement or demolition. The dire situation of naval aviation is sobering. According to the Navy, 53 percent of all Navy aircraft can’t fly – about 1,700 combat aircraft, patrol and transport planes and helicopters. Not all are due to budget problems – at any given time, about one-fourth to one-third of aircraft are out of service for regular maintenance. But the 53 percent figure represents about twice the historic norm. Sixty-two percent of F/A-18s are out of service, 27 percent in major depot work and 35 percent simply awaiting maintenance or parts, the Navy said. With training and flying hour funds cut, the Navy’s air crews are struggling to maintain even minimum flying requirements, the senior Navy source said. Retention is becoming a problem, too. In 2013, seventeen percent of flying officers declined department head tours after being selected. The percentage grew to 29 percent in 2016. How we got to this point in such relative silence? That is a different story. There is more; read it all. On yesterday's Midrats we covered a little bit of SECNAV Mabus's legacy. Perhaps this should be part of it. From China, to Russia, to Europe, the Islamic world to South America and India on one side of the house, to Congress, academia, and industry - what are those subjects that he needs to tackle first, which need to be put on a slow boil, and which ones need to be thrown over the transom? We have for the full hour this Sunday from 5-6pm Eastern to discuss this and more, returning guest James Holmes, PhD. Jim is a Phi Beta Kappa received his BA from Vanderbilt University and completed graduate work at Salve Regina University, Providence College, and received his PhD at the Fletcher School of Law and Diplomacy at Tufts University. Though I was only a wee kid at the dawn of the "Hairy Navy" days that started in the early 70s, I've always had a soft spot for those guys. It was a "Navy Day" in grade school to Mayport and a few ship visits around this time that gave me the Navy bug. No parades. No thanks for your service. Poor pay. Social unrest at home the likes no one under the age of 50 even has a clue about. That being said - she did OK.
At the dawn of the decade that was tough for everyone in the service; a DD in 1970. Also note; no running rust. ...and you should be read up on it. Head on over to USNIBlog and ed'u'mah'kate yourself.